A key player during a fantastic career with Offaly that yielded All-Irelands at junior and intermediate level, Hannon is now firmly ensconced up north. "When you're in the final you just want to perform to your best," said a beaming Hannon. 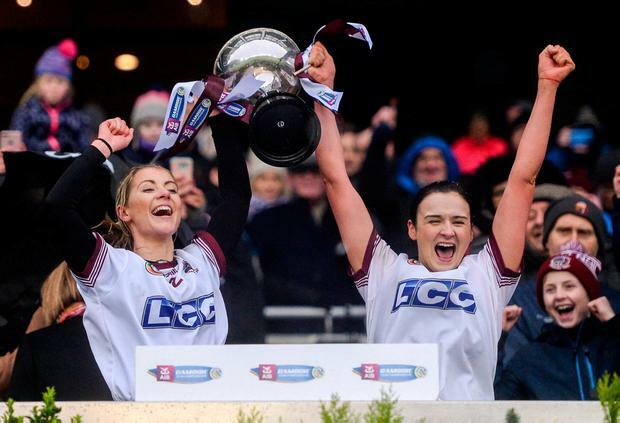 "We have such leaders on the team and when you combine that with the young talent we have coming through, to go out and play like that, we're delighted to be All-Ireland champions. 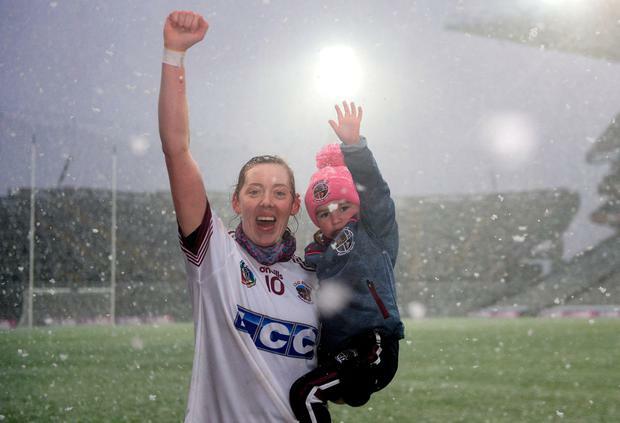 "Before the game, we were just talking about winning an All-Ireland. We didn't want to put too much emphasis on the fact we were going for a three-in-a-row, but now that it's being said, it's unbelievable." The first half was played in teeming rain that transformed to sleet and then snow in the second half. Hannon ended with a tally of 1-7 but her fourth-minute goal was crucial in the context of establishing early dominance. In truth, Slaughtneil never looked like being overhauled. 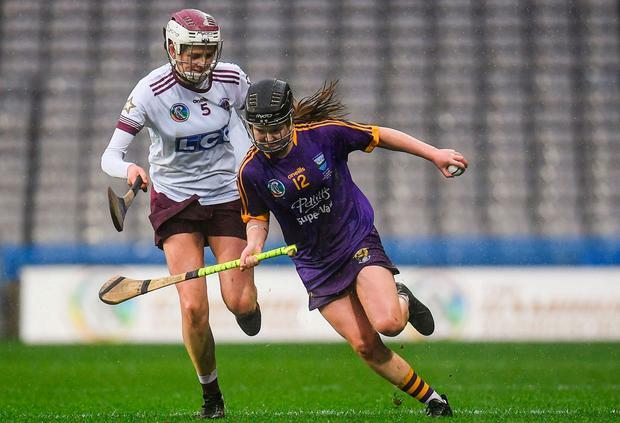 Josie McMullan, Hannon and Shannon Graham were on target as they established a 1-6 to 0-3 interval lead, and early points by Hannon and Aoife Ní Chaiside from the restart extinguished St Martin's hopes. 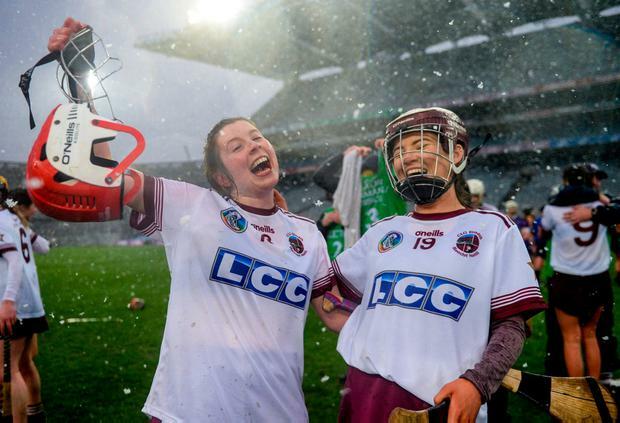 To give JJ Doyle's side credit, they never gave up but Jolene Bradley saved Emma Codd's 47th-minute penalty. Scorers - Slaughtneil: T Hannon 1-7 (5f); S Graham, A Ní Chaiside 0-1 each. St Martin's: C Foxe 0-3f; L Bolger 0-2; E Codd, L Whelan 0-1 each. 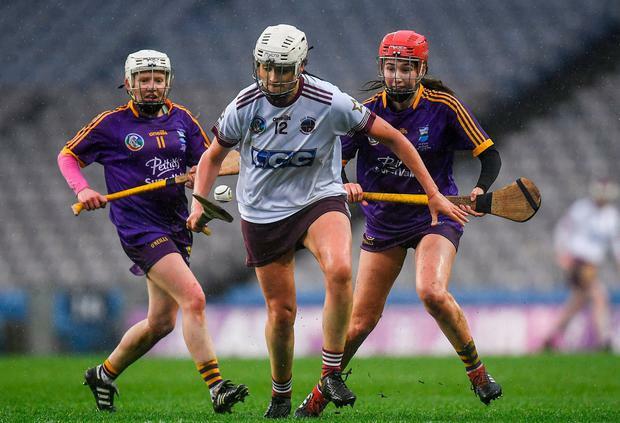 St Martin's - M D'Arcy, A O'Connor, N Lambert, MC Morrissey, A Ennis, K O'Connor, M Barrett, C O'Connor, E O'Connor, A Cardiff, L Bolger, C Foxe, E Codd, A Cronin, L Whelan. Subs: L Firman for Ennis (41), A Hennessy for E O'Connor (41), A Ryan for K O'Connor (53), S O'Connor for Whelan (60+2). Ref - L Dempsey (Kilkenny).